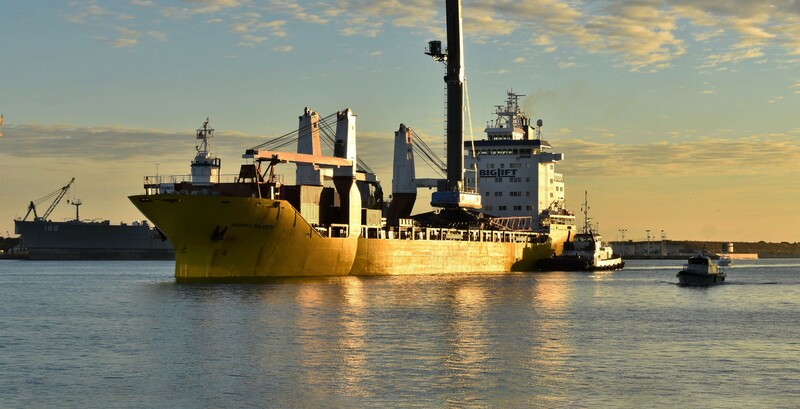 Florida’s Canaveral Port Authority took delivery of what is now the largest mobile crane on U.S. soil, originally purchased in order to support both extremely large cargo ships (known as New-Panamax-class) and the unique needs of orbital-class rocket recovery operations for SpaceX’s Falcon 9 and Falcon Heavy and Blue Origin’s prospective New Glenn launch vehicle. 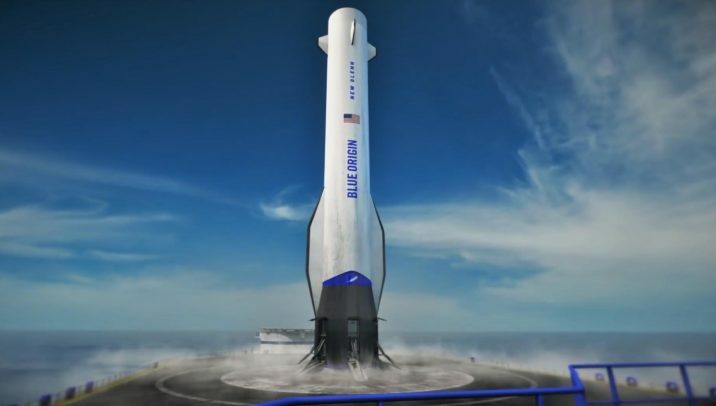 While there’s a good chance that SpaceX will avoid changing their current Port Canaveral recovery operations and the complement of cranes they already lease or own, Blue Origin will almost certainly take advantage of Port Canaveral’s vast new crane, capable of lifting more than 200 metric tons (~450,000 lbs) at heights greater than 50 meters (160 ft). To put the scale of the crane (and perhaps SpaceX and Blue Origin rockets) into perspective, Falcon 9’s booster – on its own – stands an incredibly 45m (~150 ft) tall or almost the same height as the LHM 600’s main boom (the gray cylinder/tower in the photos above), while Blue Origin’s New Glenn first stage – set to debut as early as 2021 – would tower an extraordinary 57.5m (~190 ft) tall, probably 60m if its small legs are deployed. While SpaceX’s BFR booster (now Super Heavy) is expected to attempt recoveries on the actual launch pad mount, it would stand around 63m (~210 ft) tall. New Glenn and Super Heavy are likely to weigh 50-150+ tons empty. The point is that for monolithic objects that are as tall as large rocket boosters, the logistics of actually moving them around can be surprisingly complex and challenging. SpaceX’s Falcon 9 and Heavy boosters happen to be short enough to be conveniently moved and manipulated by cranes that are quite large but still fairly common and easy enough to lease or purchase. SpaceX consistently uses similar tall, yellow cranes for the process of actually lifting Falcon 9 boosters – around 30t (~66,000 lbs) dry – off of their drone ships and onto land, while far smaller wheeled cranes can be used for the process of manipulating Falcon boosters once they are horizontal. Given just how relatively light Falcon boosters are compared to their towering height, the cranes that can safely lift such tall and delicate objects tend to be designed to easily lift 5-10X as much weight at once. 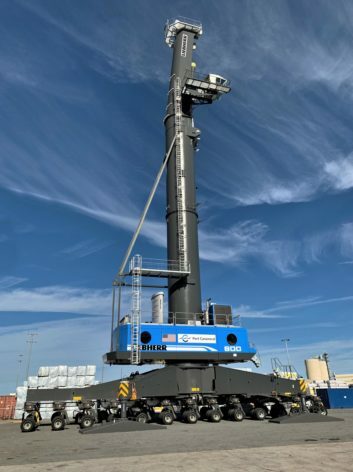 The next-generation rocket boosters (and even SpaceX’s Starship upper stage) will continue to push the height performance and begin to test the mass capabilities of modern cranes, particularly mobile varieties like the one that just arrived in Port Canaveral. One massive benefit of wheeled cranes like LHM 600 is how versatile and flexible they are, while tracked cranes like the largest ones SpaceX currently uses simply can’t move without risking the destruction of the ground beneath them, requiring that they use advanced mass-spreading technologies (i.e. giant beams of hardwood) wherever they crawl. Liebherr’s mobile harbor cranes offer a far more mobile solution in the form of traditional rubber tires and multiple large spreader plates that can be deployed and retracted when stationary. 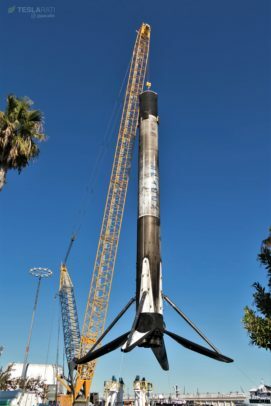 It will be genuinely interesting to see if SpaceX decides to replace its proven modes of vertical-lift recovery operations to gain the benefits of a crane that is new and an unknown quantity but could still simplify certain recovery operations. 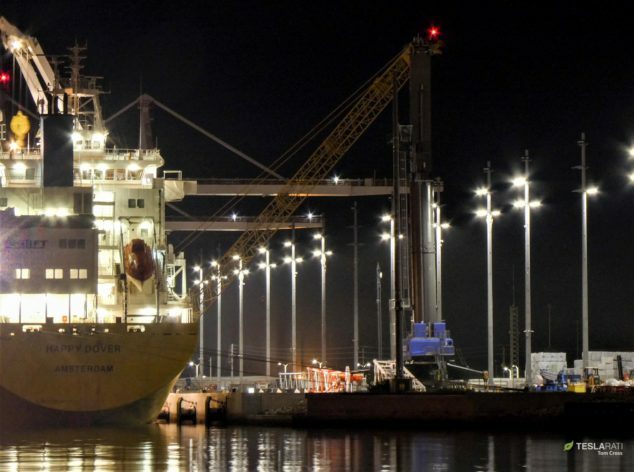 Perhaps even more importantly, the Canaveral Port Authority owns the new crane and apparently bought it with the specific intention of allowing companies like SpaceX and Blue Origin to use it – presumably for a reasonable fee – to assist during rocket recovery operations.